I want you to really think about this. What are you standing on? How strong are you rooted in JESUS. Are you standing on sand, dirt, mud, quicksand? Or are you standing on what could be the worst thing and that’s the fence. The fence is probably the worst thing to stand on because it could be scariest. If you’re on the fence and leaning to the wrong side, will it take you down and live for the world or live your life to satisfy your friends. Or satisfy you. The sayings JESUS is talking about are all the parables HE told all of the people. People relate to stories. We need to do everything JESUS tells us to in HIS WORD. Stand strong on the Rock. Live your life on the Rock. It’s all about standing on JESUS. If you’re not on the Rock and standing on the Word of GOD and Living for JESUS the fall will be a great one. Don’t walk the fence. Stand on the Rock. It’s always better to live for JESUS. That’s how you’re gonna make it to heaven. 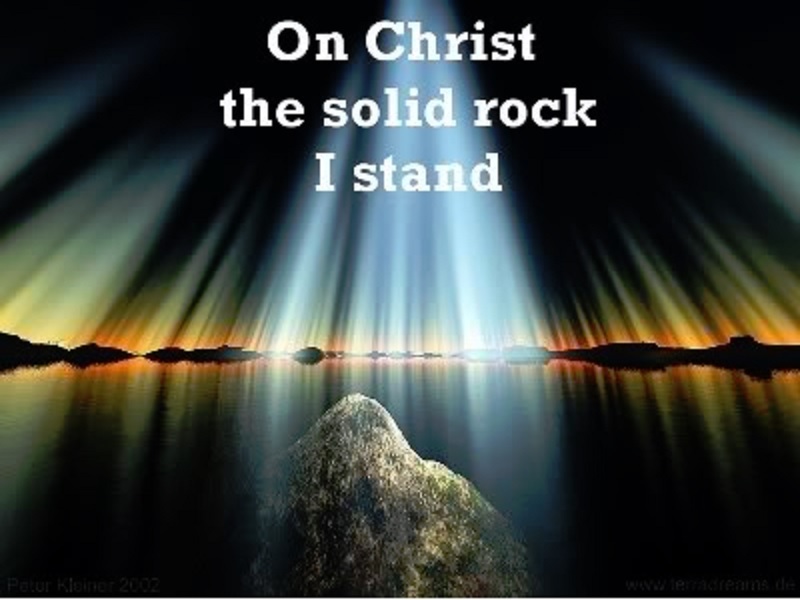 The Rock that JESUS built HIS church on is the Truth on who HE is and HE is the KING of kings and LORD of lords. HE is our Saviour and our GOD. The devil and his imps want to destroy us by keeping our minds off of JESUS. When this happens we can become complacent. We can make coming to GOD’S church a checklist. We can start walking the fence and that’s dangerous. You can’t afford to be complacent. This is serious business. All of eternity is at stake. We know it’s all about choices. And it’s choices we make to where we’ll end up forever. Choose you this day. We all gotta decide if we take our relationship with JESUS seriously. You decide to build your house on the solid foundation of GOD’s Word. JESUS tells us how HE feels about this. Be on fire for JESUS. The cold ones at least know that they are not serving GOD. They are honest about where they at. The lukewarm Christians are the ones that think they’re truly serving GOD, but they’re only going through the motions. In HIS letter to the church in Laodicea, JESUS says that if you are lukewarm, HE will vomit you out of HIS mouth! You need to choose to be hot for JESUS all the time. Being lukewarm or cold is building your house on the sand and it won’t be long until it falls down. You need to hear the Word of GOD, then choose to obey it, and apply it in your everyday life. Don’t resist going to deeper levels. Raise your level of desire to know JESUS. You’ll never go wrong following JESUS. Those who build their house upon the Rock, are those who get the knowledge of the truth. They hate what is evil, and grab a hold to what’s good. The Word should be first place in your life. You can’t sit on both sides of the fence. You stand up and say like Joshua did, “But as for me and my house, we will serve the Lord.” (Joshua 24:15). Don’t be moved or swayed by the opinions of man. Stand firm on the Word of GOD. GOD and HIS Word are one and the same! And HIS name is JESUS. Don’t stand on the fence. Stand on the Rock.